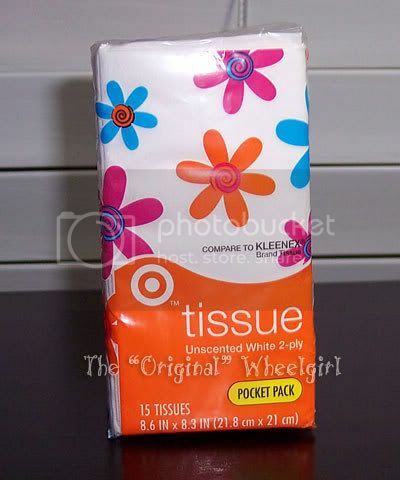 The Original Wheelgirl: Tissue Holders - Complete! These were very fun and easy to make. I made six very quickly this evening, in under a couple of hours. I love assembly line sewing. It seems to make things go faster. I probably will make more someday, they are quick and easy gifts to make. Two fat quarters will make six covers and there are so many options with patchwork, embroidery, etc. 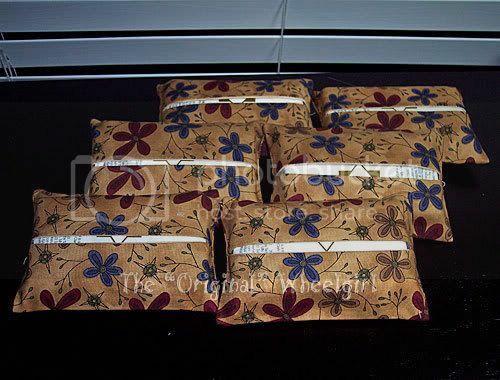 Here are the six completed covers, with tissue packs inside. Thanks for looking! 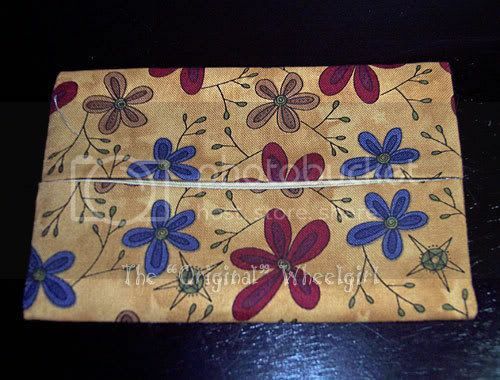 Your tissue holders turned out great. They are so attractive it almost makes me look forward to my next sniffle.